This IOC just announced that wrestling has been dropped from the Summer Games, effective in 2020, thus removing any doubt that the Olympics are a complete joke. I now put the Olympics on the same viewing priority as the Professional Bowlers Tour and re-runs of Glee. In fact, there’s probably more legitimate “sports” in either of those two telecasts. I have written extensively in the past about what qualifies as a sport and what doesn’t so no need to rehash here, but let’s take a quick look at what the IOC now tries to define as a sport in the Summer Games, ignoring for a moment the fact that one of the wrestling events is called “Greco-Roman Wrestling” and, well, the Greeks may have played a small part in the history of the Olympics. Ping Pong: Get serious. Like darts, billiards, and bocce, ping pong is a lot of fun to play, especially after downing a few beers, but nobody outside of China takes it even remotely seriously. Any game that is played more often with cups of beer on the playing field cannot possibly be a sport. Artistic Gymnastics: Zzzzzz. Oh sorry, I fell asleep. Artistic gymnastics is one of those activities that even the parents of the participants would not look forward to watching. Putting it in a multi-week athletic competition is unfair to the rest of us. Badminton: At a picnic, fantastic. 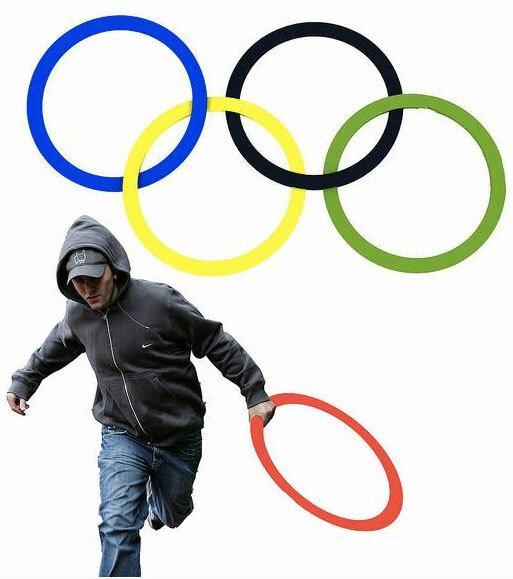 At the Olympic games, joke. Slalom Canoeing: Bra ha ha ha ha ha ha. Tae Kwon Do: One of the reasons baseball was allegedly eliminated in 2012 was that it was a uniquely American game. Oh, so let’s bring in an event that actually only exists in a single language. If the combatants fight until someone is unconscious, I might go along with it. Mountain Biking and BMX Cycling: These are, respectively, a fun weekend activity and an outlet for tattooed beatniks. Olympic sports? Uh, no. Meanwhile, baseball, one of the 4 major sports in the world, has been dropped. This is a complete joke. Totally agreed. Would add: curling? synchronized swimming? figure skating? Amy, I agree on synchronized swimming. Should have been on my list. Figure skating (really, you’re voting against figure skating – need I remind you how many hours I spent watching you figure skate!) and curling are in the winter olympics and, thus, not addressed by this blog. Full disclosure: I kind of enjoy watching curling. Furthermore, there’s a place near us where you can go curling and we almost did it a few years ago. I’m a recovering figure skater. Sober over 20 years! Isn’t curling like ping pong: completely appropriate with beer, but not for international competition? Yeah, I’m quite certain you’re right that curling falls into the ping pong/bowling/darts category of games that would be much more fun with copious amounts of beer. I, too, agree & I am glad that I’ve found some kindred spirit who falls asleep at gymnastics. Obviously, you have never played a serious gameof badminton. The baneof serious badminton has been those cheap back yard sets. Tournament badminton takes tremendous skill – from the tremendous power of the wrist snap placing the shuttlecock in just the right spot – generally at the four corners of the court, to the ability to place the shuttlecock where the opponent isn’t, to the extreme energy requirded to maneuver on the court, and the instant and sharp reflexes to cover the entire court.Placing a shuttlecock from the back line of one’s side to the back line of the other’s requires a great deal of skill. I challenge you to play 5 minutes against a skilled player without utter exhaustion. I used the word “tournament” to distinguish “real” badminton from the back yard variety you seem to believe exemplifies the sport. And, yes, I once played in a badminton tournament – similar to tennis or other tournaments.